Carshalton Mum Adama Dabo went back to her roots and the power of pure Shea Butter to find a cure for eczema. She produced such effective and beautiful products that she started her own successful skincare business. Local Mum Adama Dabo was inspired to create her own skincare range using traditional, pure ingredients by her niece who suffered from eczema. 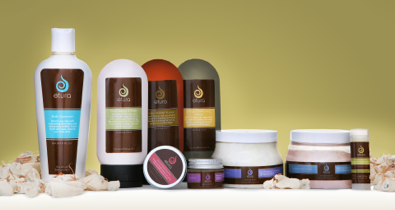 “The only thing that soothed her skin was pure, unrefined Shea Butter,” says Adama. Adama left her profession as an IT specialist when she started her skincare business, called Etura. “I spent more and more time staying up until the wee hours of the morning in my kitchen at home mixing creams and lotions, balms and jellies,” says Adama. With friends and family requesting more and more of her products, Adama decided it was selfish to keep them just to her close circle. “I decided to set up a business so that more people could enjoy and benefit from the knowledge I had gained and the recipes I have put together,” adds Adama. If you would like to try the amazing benefits of pure, natural ingredients with Etura’s beautiful skin products, why not contact Adama for more information?